People often ask their doctors for antibiotics when it isn’t necessary. For instance, the powerful medicine cannot treat viral infections like the common cold, flu, bronchitis, most sore throats, and ear and sinus infections. Antibiotics fight bacterial infections such as strep throat, urinary tract infections, certain bacterial related ear infections and sinus infections like sinusitis. Yet, many people still ask for antibiotics. In a new study published in the British Journal of General Practice, researchers from King’s College London found that decreasing antibiotic prescribing is linked with lower patient satisfaction in the National Health Service (NHS) General Practice Patient Survey. The results found that when general practitioners (GP) reduce antibiotic prescribing by 25%, there is a five to six point reduction on GP satisfaction rankings. It is the first national patient experience survey to reveal antibiotic prescribing patterns of GP practices. For the study, the researchers examined records from 7,800 general practices in the NHS GP Patient Survey. The survey measured patient satisfaction with their GP and GP practice. 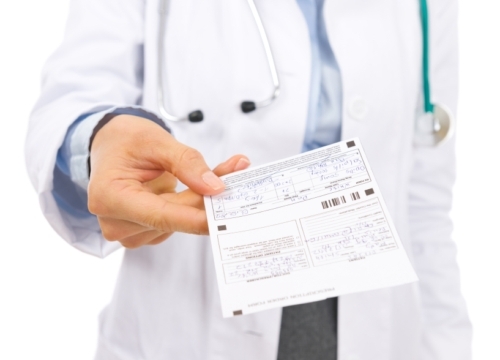 The survey found that antibiotic prescribing played a large role in the patient experience. When a practice prescribed 25% fewer antibiotics than the national average, the national GP satisfaction rankings dropped from the 50th percentile to the 44th and 45th percentile. The GP will often prescribe fewer antibiotics to help prevent antibiotic-resistant bacteria. When you take antibiotics when you don’t need them, they may not work when you do need them. Every time you take antibiotics, the drug may not kill all the bacteria. The bacteria that remain will mutate and become harder to kill. The antibiotics therefore become resistant, and no longer work. Previous small-scale studies have found that when the patient feels the GP has listened to and carefully examined them; patient dissatisfaction about not receiving antibiotics is not an issue. Further research is necessary to verify if that scenario will help or occur in a busy GP practice. A previous Public Health England study found that 51% of patients were prescribed unnecessary antibiotics by their GP’s for coughs and colds. In turn, there is a greater risk that bacteria will no longer be killed effectively by antibiotics. The researchers point out that the study was observational, and therefore no final conclusions can be made about cause and effect from patient satisfaction of GPs who prescribe fewer antibiotics when they are not needed. In the study, researchers also investigated other possible explanations of patient satisfaction in order to rule out factors that could influence the survey (like wishing to please patients). The research team checked each GP’s total prescription rate and costs of other drugs, including antidepressants, painkillers, and sleeping pills. There was a much smaller link between these drugs and patient satisfaction. Issues with GP access had also not been a factor with patients. Other small-scale studies are consistent with the study results. Ashworth, M., et al., “Antibiotic prescribing and patient satisfaction in primary care in England: cross-sectional analysis of national patient survey data and prescribing data,” British Journal of General Practice, 2015; doi: 10.3399/bjgp15X688105. “Frugal antibiotic prescribing associated with lower GP satisfaction scores,” EurekAlert! web site, December 6, 2015; http://www.eurekalert.org/pub_releases/2015-12/kcl-fap120415.php. “What are antibiotics?” WebMD web site, last updated November 14, 2014; http://www.webmd.com/a-to-z-guides/using-antibiotics-wisely-topic-overview, last accessed December 7, 2015. “Using Antibiotics Wisely,” eMedicineHealth web site; http://www.emedicinehealth.com/using_antibiotics_wisely-health/article_em.htm, last accessed December 7, 2015.